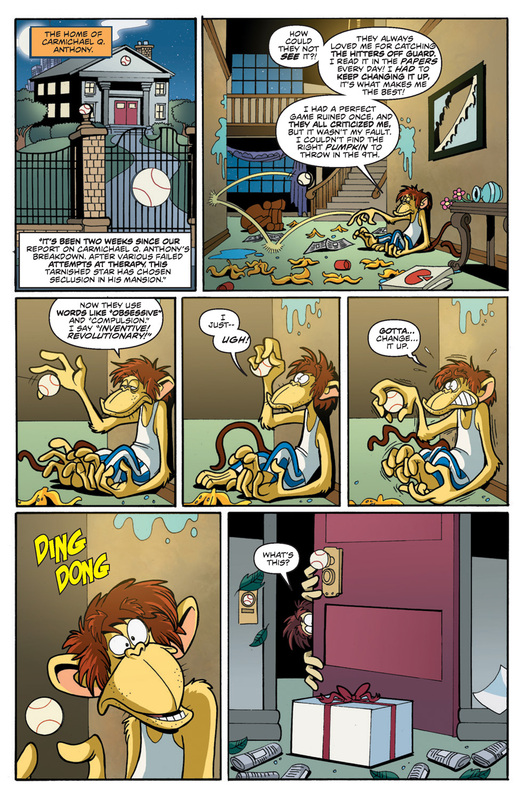 Posted by John D. Moore in Comics News, Comics Preview. 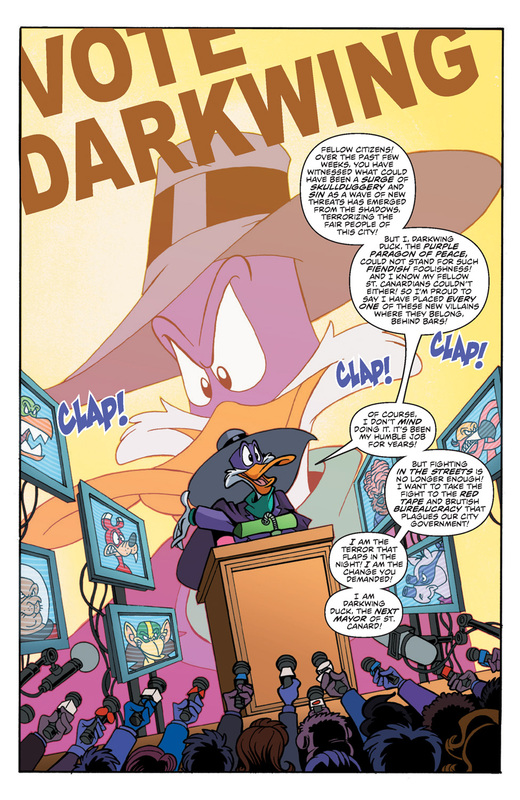 Darkwing starts to make good on his threat to run for mayor in this newest issue, at your local comic book story today! Posted by John D. Moore in Fan Art. Imagine if St. Canard weren’t populated with ducks and dogs and all manner of animals. 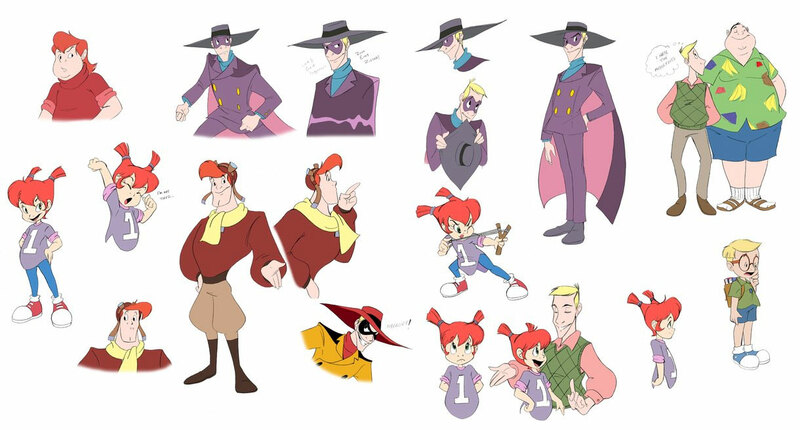 What if Darkwing Duck was people? An artist named E.D. 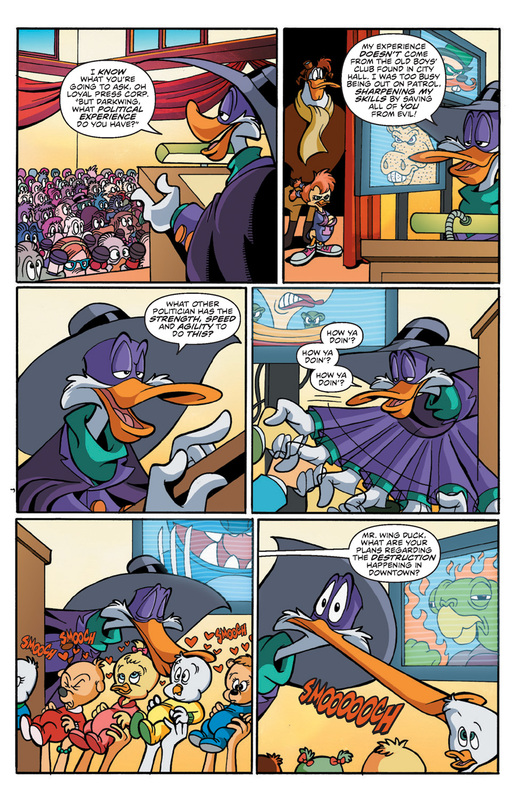 Thweatt asked himself this question, and designed human versions of the Mallards and Muddlefoots, and several other Disney Afternoon characters. Pretty keen! 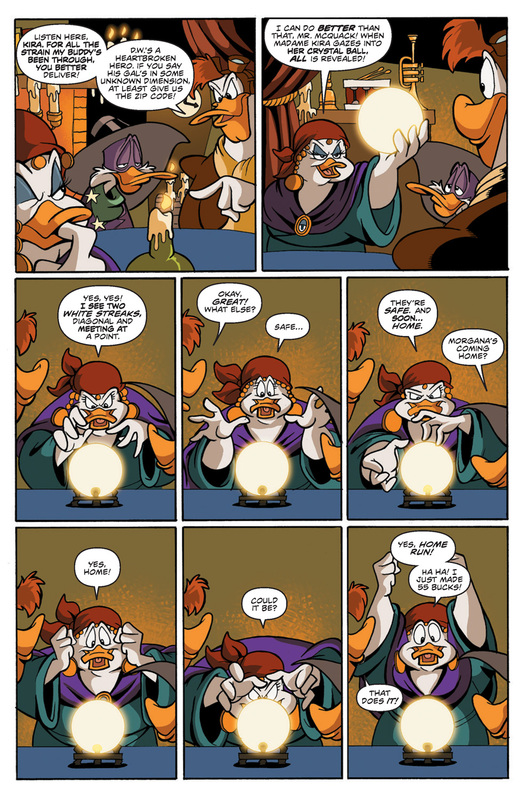 I especially like how Launchpad and Gosalyn turned out. 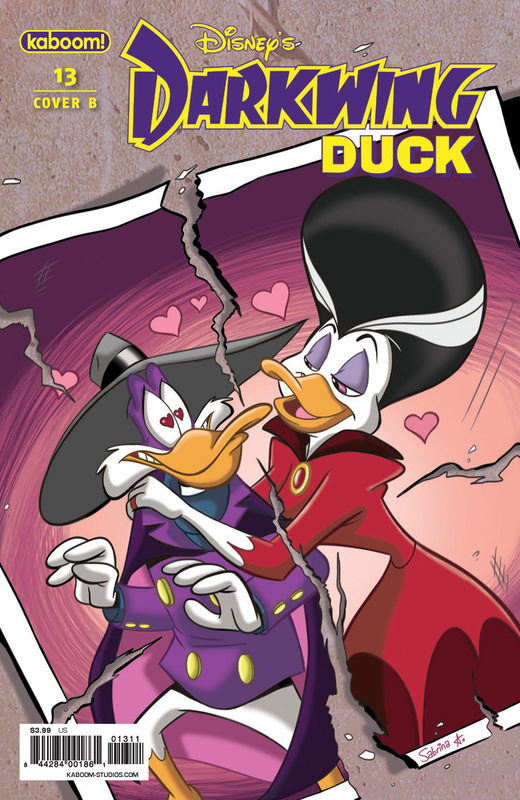 I gotta say, Drake/Darkwing doesn’t look quite right to me. His design doesn’t seem to preserve the same character traits and expressiveness as many of the others do. Still, I think this is a bang-up job. 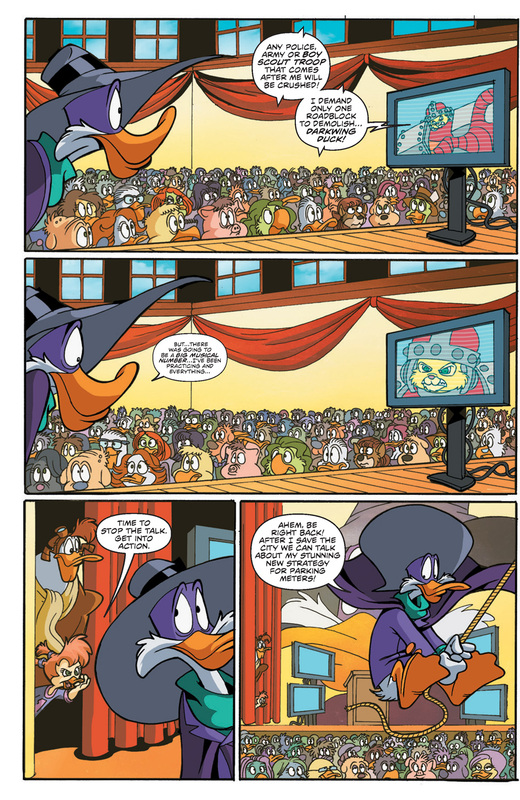 You can see more (including takes on Scrooge McDuck, Gadget Hackwrench, and Baloo) at Comics Alliance or the artist’s DeviantArt account. 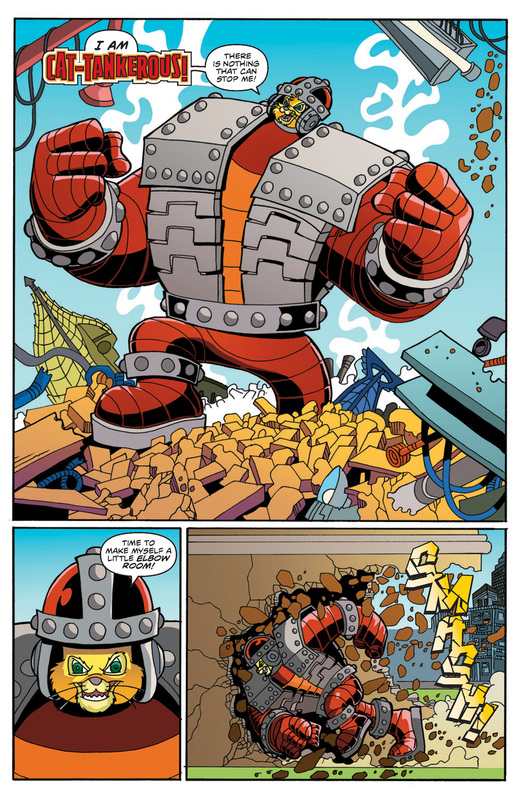 Posted by John D. Moore in Comics News. The finale of the current arc has popped up. 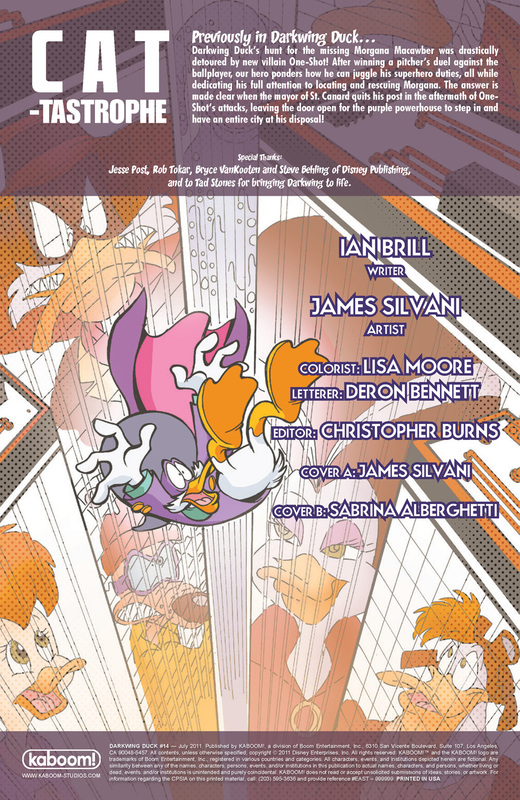 Thanks to James Silvani, we have it in both color and his wonderful line work. 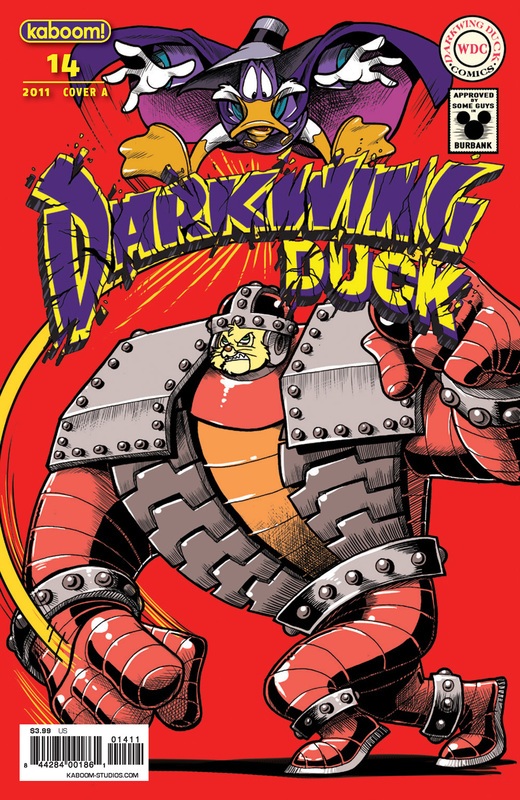 The cover hints at some mysterious, probably magical new villain. Perhaps this links back to the end of the last arc? Cover B will be posted when we have it. 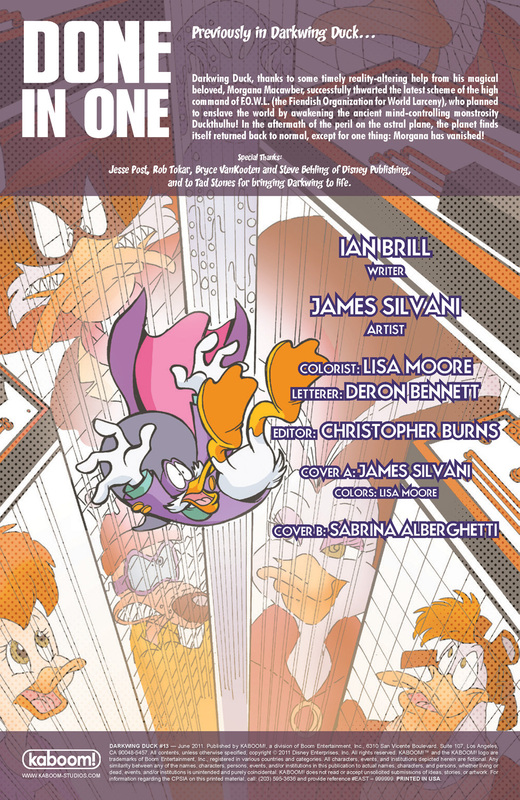 If you like the Darkwing comic series’ art (and you do), then you just might want to check out artist James Silvani’s new Tumblr page. 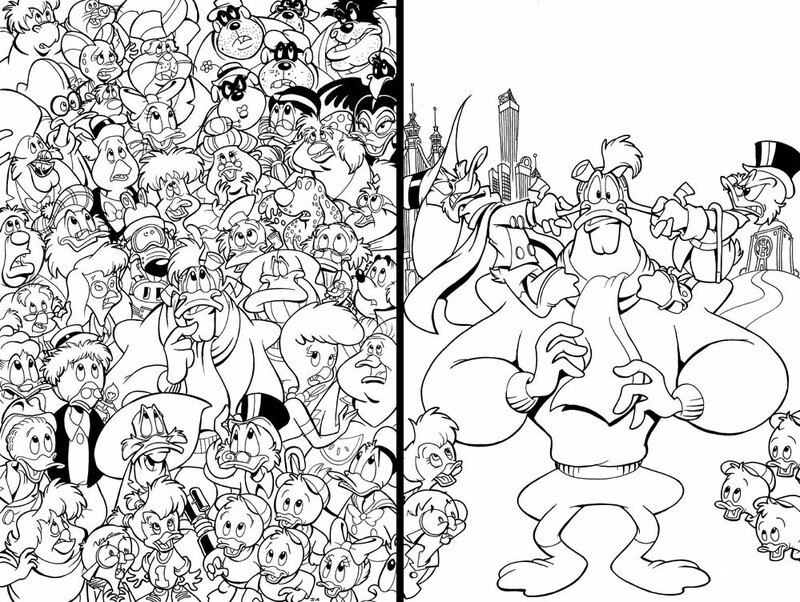 There’s all kinds of Disney, duck, Muppet, and Star Wars sketches (and more!). Is this long-awaited? For many, I’m sure it is. 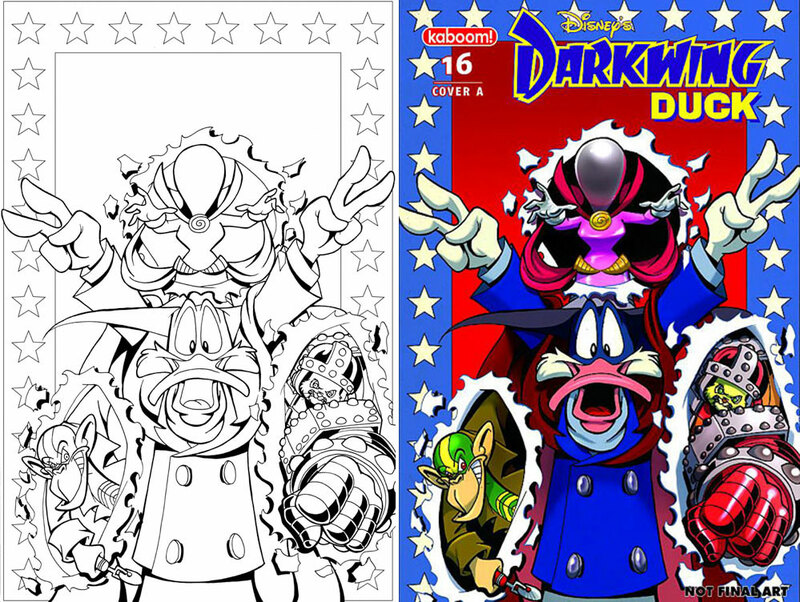 James Silvani gave us our first peek at his two covers for DuckTales issue 5 (out in September), also announcing the first large-scale DuckTales and Darkwing Duck crossover. 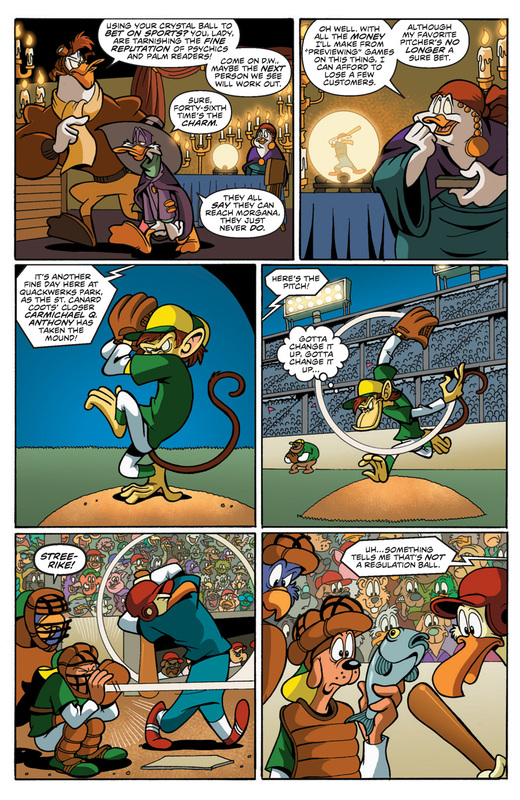 The first is one of the character-stuffed extravaganzas he does so well. 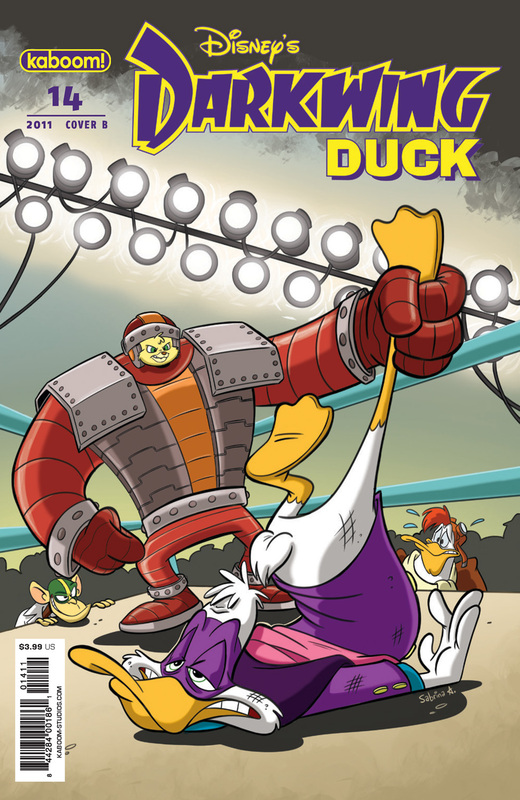 The second shows Scrooge and Darkwing fighting over Launchpad. The two books are supposed to take place in the same continuity. 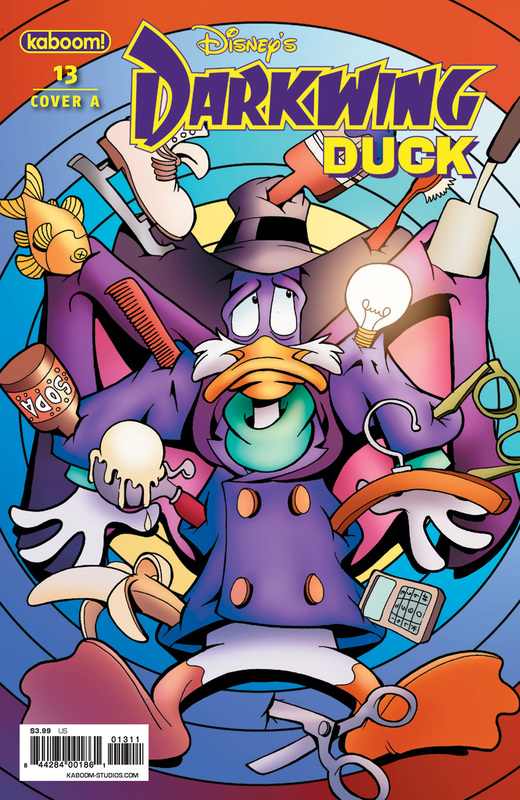 It’ll be interesting to see how Spector interprets Brill’s take on the TV duck universe. June appears to be the last month that Boom!/Kaboom! 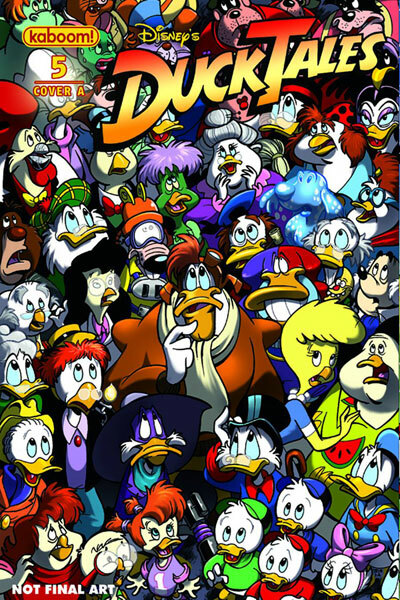 Studios will be publishing the classic Disney comics (Uncle Scrooge, Walt Disney Comics & Stories, etc. 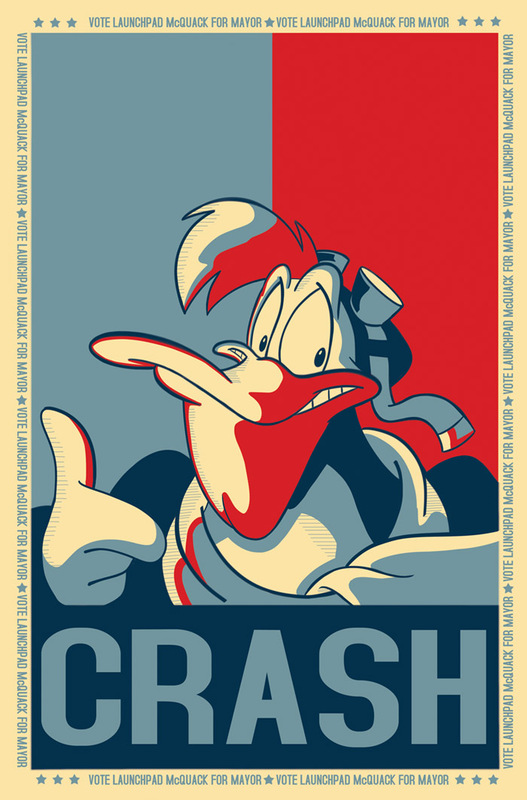 ), as well as Chip ‘n Dale Rescue Rangers. 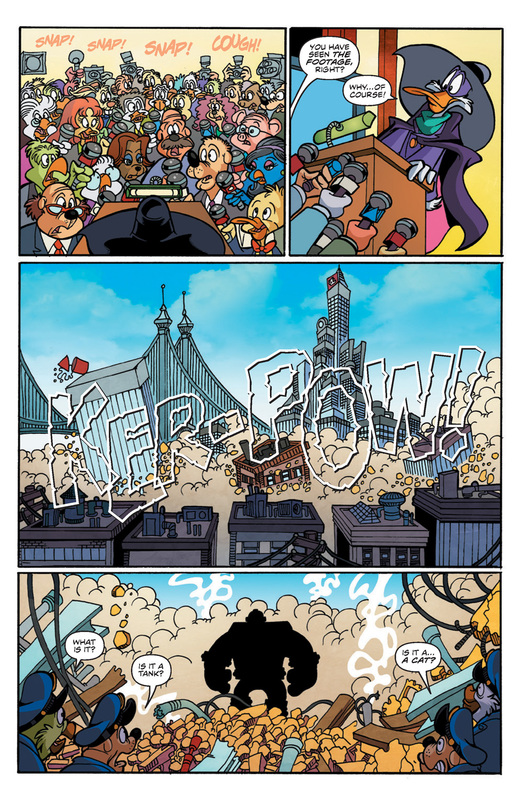 As a result, some fans have been anxious about the future of both Darkwing Duck and DuckTales as the two remaining survivors of the Boom! Disney boom. As always, if you’d like to continue to see these comics, and any comics from most publishers, please pre-order these titles from your local comic shop. Stop that pesky trade waiting! So at least for the foreseeable future, the terror will still be flapping into your local comic book shop. That’s right. 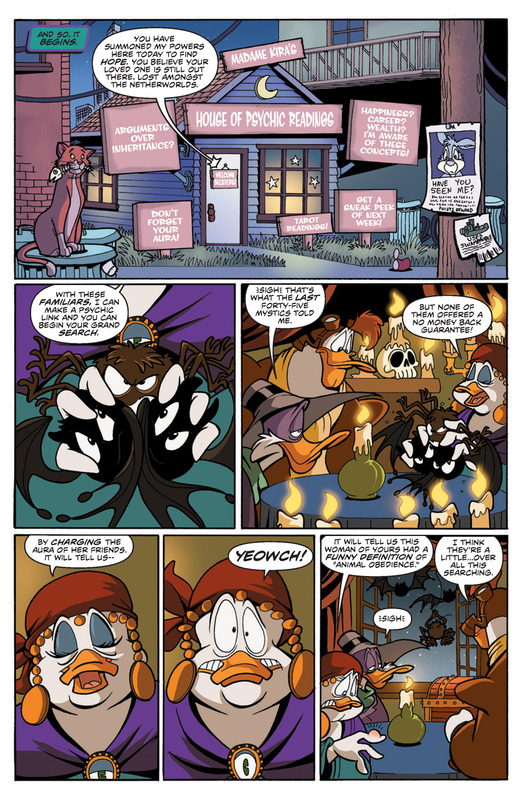 Camille Chameleon and Moliarty are getting in on some plans to deplete Scrooge McDuck’s riches. The issue’s in stores now.